Exclusively.in, a portal specializing in selling designer range of apparel, accessories as well as jewelry is all set to be acquired by Snapdeal. Exclusively.in, a portal specializing in selling designer range of apparel, accessories as well as jewelry is all set to be acquired by Snapdeal. With this acquisition, Snapdeal wishes to consolidate its position with Jabong and Flipkart who are performing quite well in the online fashion segment. Through Exclusively, Snapdeal wants to cater to the demand for high end fashion labels across its online growing customer base. 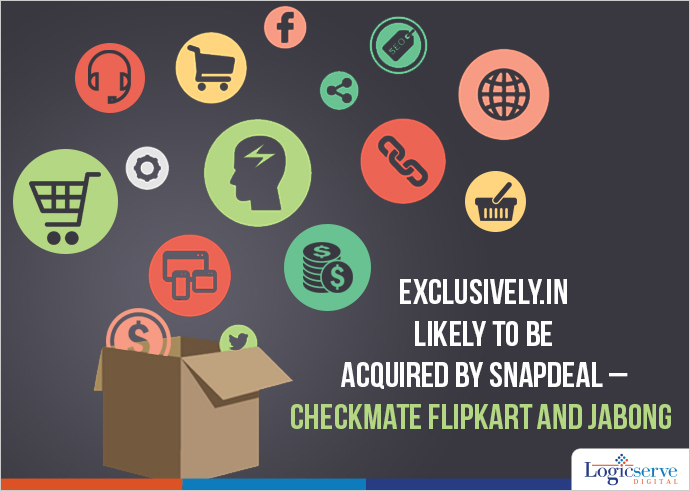 Despite, Snapdeal having a well established and ever expanding online market space, it has yet to make a decent foray in the fashion segment which is dominated by Flipkart acquired Myntra, Jabong and even Amazon, the recent entrant on the scene, each of them have enough funds in their kitty to invest and promote themselves heavily. Post the fund raising activity with Softbank, Snapdeal has acquired Wishpicker, a gift recommendation site for an undisclosed amount. Incidentally, Mr. Sanjay Guleria, the founder of Exclusively, has agreed to proceed with its valuation. So, for now its wait and watch for the deal to come through and at what cost.